Not only do we stock the biggest names in designer fashion online including Armani Jeans, Paul Smith, Rag & Bone, Michael Kors bags, Gant, Fred Perry and the world renowned Hugo Boss collections - BOSS, Boss Green and Boss Orange (to name just a few), but we also pride ourselves on discovering and presenting you with truly individual products that you will not find readily on the high street - including the likes of Creenstone, Candice Cooper, Yves Salomon, Oska, Xenia Design and Rundholz. 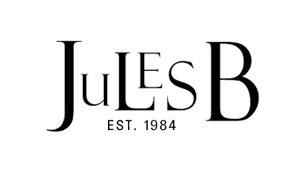 It is this ever adapting boutique approach to business that has enabled Jules B to be as relevant now as it was at its inception back in 1984. Don't forget to subscribe to our newsletters to take advantage of exclusive style updates featuring essential trends, fashion tips and updates about all of our men's and women's designer clothing brands. Also keep up to date on all offers, promotions, discount vouchers and codes by signing up to our emails to receive exclusive offers just for you.